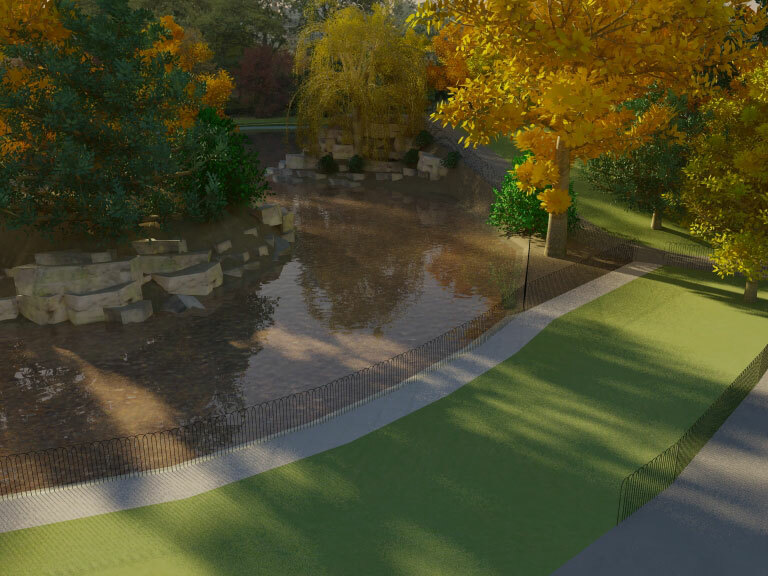 Focal Point commissioned UMG to generate a model which would depict the ease with which their client’s petrol station could be erected. This shows how UMG can depict vehicles and other features moving through the virtual environment. 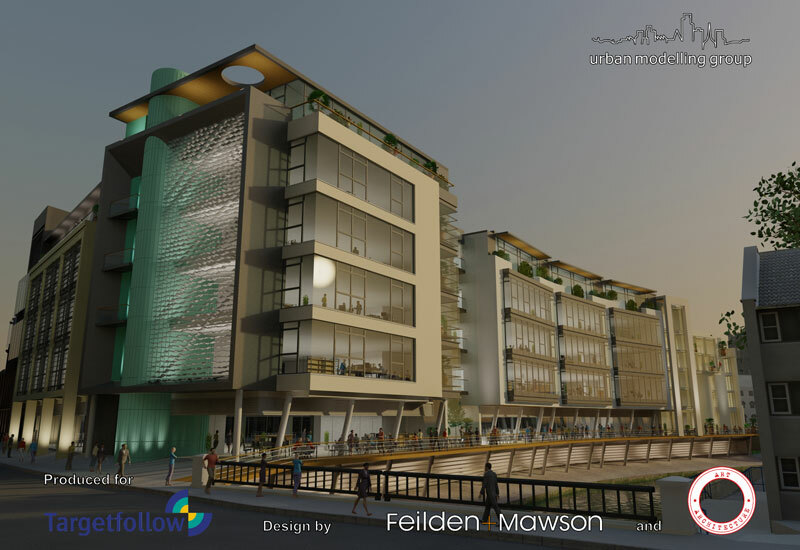 Working with local investors Target Follow, and architects Fielden and Mawson the Urban Modelling Group produced 3-D visualisations of a proposed new development in Norwich City Centre. 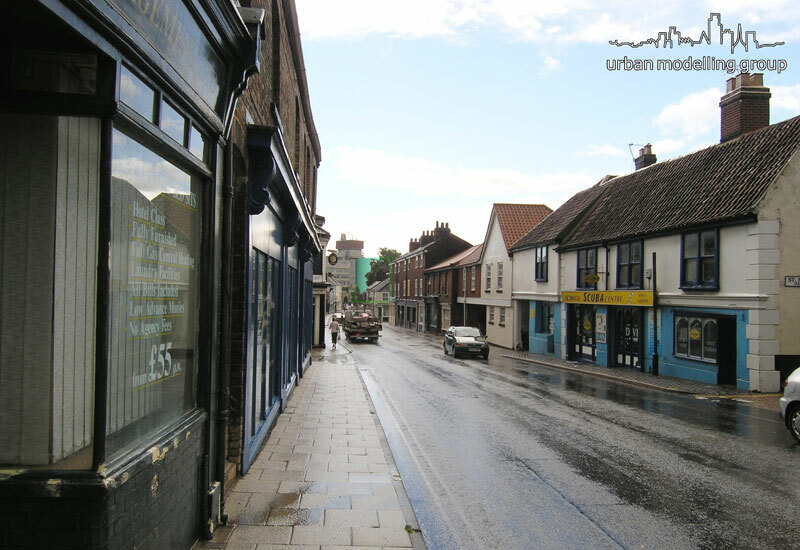 The Dukes Wharf Development is situated in a historic area of Norwich city centre and the models produced by UMG enabled the planned buildings to be visualised in context of the current built environment. 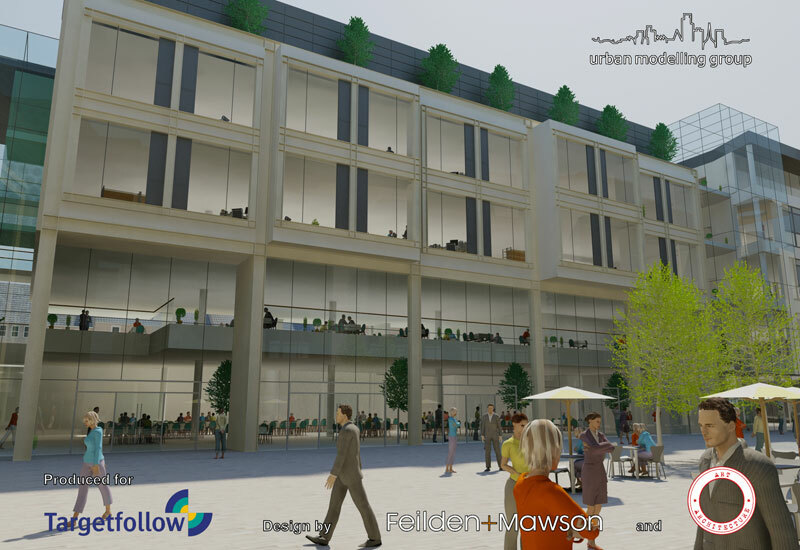 The proposed development includes a mix of housing, offices and restaurants which together would provide a vibrant environment for the local community. The models produced by UMG convey this by drawing on the group’s skill in depicting individual people and crowds. 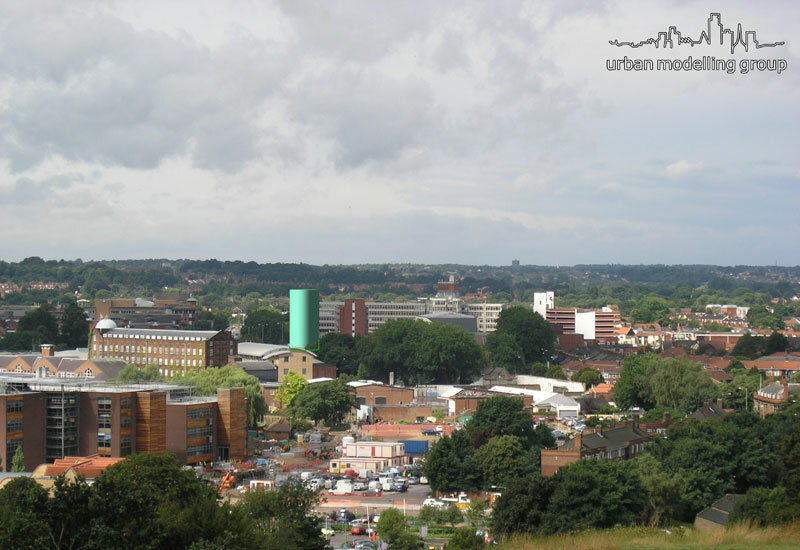 New developments with in established cities can have a strong effect on the city sky line which is sometimes difficult to predict from the plans. 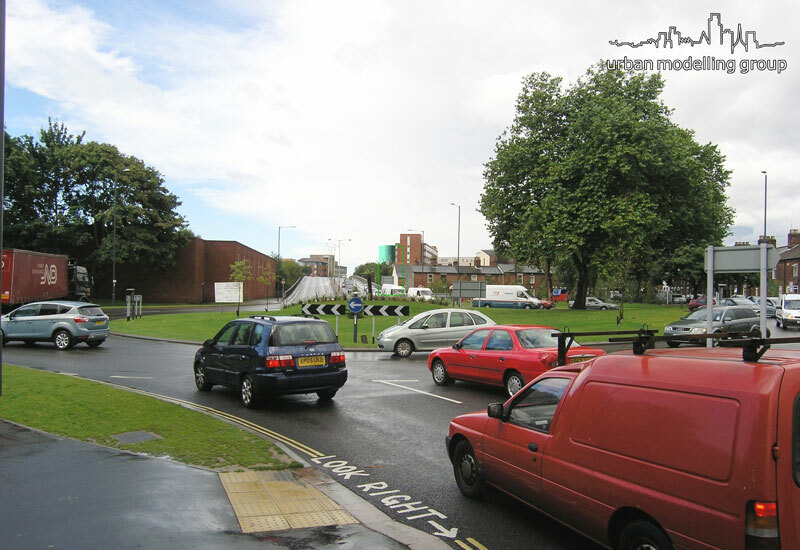 For a proposed development of Anglia Square in Norwich the Urban Modelling Group generated photographs from different perspectives with a block outline of the proposed building. 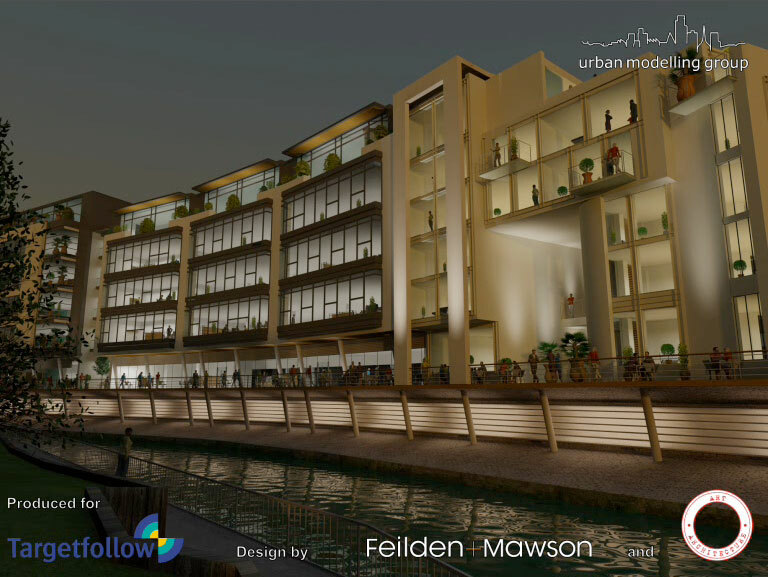 This enabled planners to visualise the impact of the new development on the sky-line. Dublin is a vibrant city with a diverse architectural heritage. 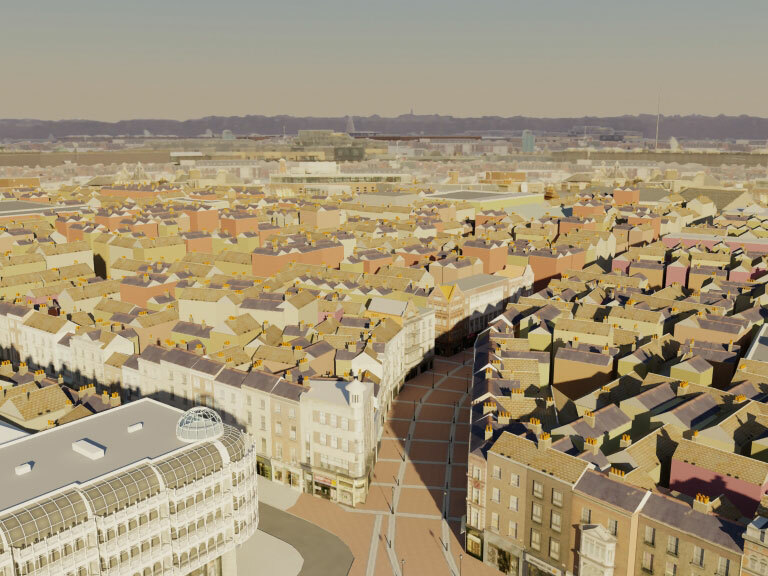 The Urban Modelling group generated a large scale model of Dublin which allows proposed new developments to be placed in context. 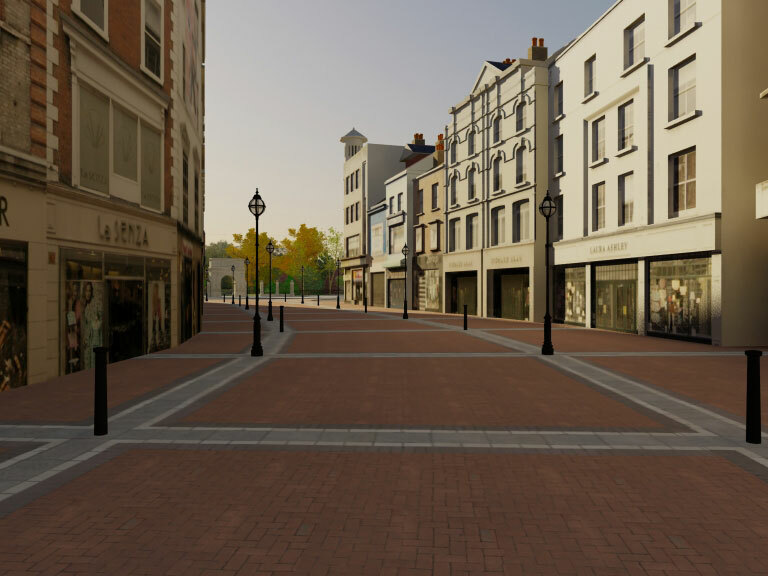 These models can also be used as a resource for the tourism industry allowing potential visitors to explore the virtual city before they arrive.